Looking for a Used Compass in your area? CarGurus has 43,624 nationwide Compass listings starting at $2,495. 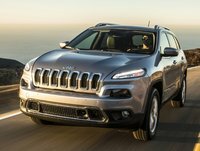 It seems that Jeep has plans for a few upgrades to its 2015 Compass lineup, but the highly touted introduction of the 2015 Renegade (as a replacement for the now-defunct Patriot) has apparently taken precedence. It may be, therefore, that the lower-level Compass will have a nip here and a tuck there, with hints that its underachieving 2.0-liter base engine will be dropped in favor of the more highway-friendly 2.4-liter powerplant that’s presently optional in lower Compass trims. One reviewer also predicts a turbocharged version of the 2.4-liter engine for 2015. 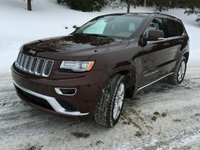 Nevertheless, look for the 2015 Compass to be delivered in the base Sport trim, the up-featured Latitude edition or the flagship Limited iteration, with all trims again packing standard front-wheel drive (FWD) or an available all-wheel drive (AWD) system that Jeep euphemistically labels “4-wheel drive” (4WD). Of course, low-end or not, expect the Compass, with its higher stance and solid (if downsized) Cherokee-based frame, to be a better-than-average off-road warrior, especially when toting the available AWD package. Do not, however, expect this commuter-oriented Jeep to equal its terrain-taming Wrangler cousin. As things stand at present, the Compass offers a paltry 53.6 cubic feet of cargo space with the rear seatbacks folded down, and rear-seat legroom is described by most reviewers as challenging at best. Intimations that this compact 5-passenger crossover may get a little larger for this coming iteration are again floating around, but don’t bet the farm on it. In any case, barring significant upgrades and additions, look for the 2015 Compass to return equipped with, depending on the trim selected, 16- or 18-inch painted alloy wheels and a roof rack outside, with premium cloth or leather upholstery, cruise control and tilt-wheel steering gracing the inside. Standard manual air conditioning and the 66-watt audio system boasting 4 speakers and basic Uconnect adorning the Sport and Latitude trims are complemented by a standard power sunroof, climate control, a remote garage door opener, a rear-view camera, satellite radio and upgraded Uconnect with a 6.5-inch touchscreen display in the top-shelf Limited. As is traditional, much of the standard equipment in the higher 2015 Compass trims will remain optional in lower-level trims when the available Altitude and High Altitude Edition packages are selected, while the touted (and optional) Freedom Drive II Group adds a 2-speed transfer case and descent control to all 4WD-configured Compass iterations. Also available to the Latitude and Limited editions are such optional goodies as remote engine start, Bluetooth hands-free calling, a driver's information display and a remote antitheft alarm in the Security Group and/or the Convenience Group, with the Sun and Sound Group adding a premium 9-speaker audio system with flip-down tailgate speakers. Finally, the available Trailer Tow Package adds a hitch and wiring, an engine-oil cooler and a full-size spare tire to the mix. At the heart of the rumor mill regarding anticipated changes to Jeep’s competent Compass is the possible deletion of the ho-hum 158-hp 2.0-liter inline 4-cylinder powerplant that now equips the FWD Sport trim. Instead, there’s a distinct possibility that the significantly peppier 2.4-liter I4 engine that gives the present Compass AWD iterations their go will be installed in all versions for the upcoming model year. Look for this up-powered 4-banger to be mated with a standard 5-speed manual transmission in lower trims, with higher trims and all those Compass variants toting AWD equipped with either a 6-speed shiftable automatic transmission or a somewhat lackluster continuously variable transmission (CVT). It should be noted that the various transmission choices are subject to revision for 2015, with hints that a 9-speed—yup, 9-speed—automatic transmission may be destined for late 2015. Anyhow, look for the 2015 Compass to tote such mandated standard safety features as antilock brakes (ABS), traction and stability control, front and rear head airbags, front side-mounted airbags and front head restraint whiplash protection. Also expect standard front fog/driving lights to return in all trims, while the Latitude and Limited remain eligible for a remote antitheft alarm with the optional Security Group package. 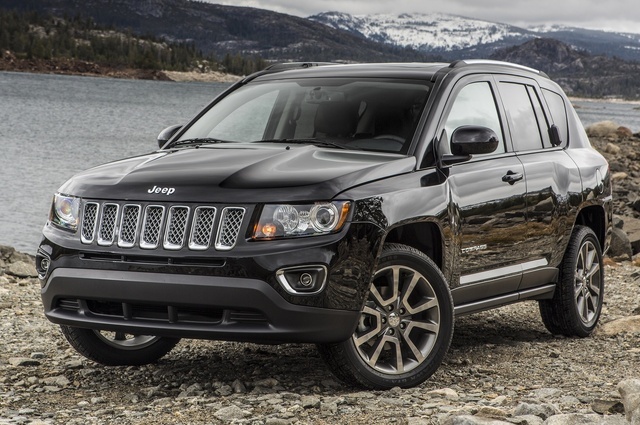 What's your take on the 2015 Jeep Compass? Users ranked 2015 Jeep Compass against other cars which they drove/owned. Each ranking was based on 9 categories. Here is the summary of top rankings. 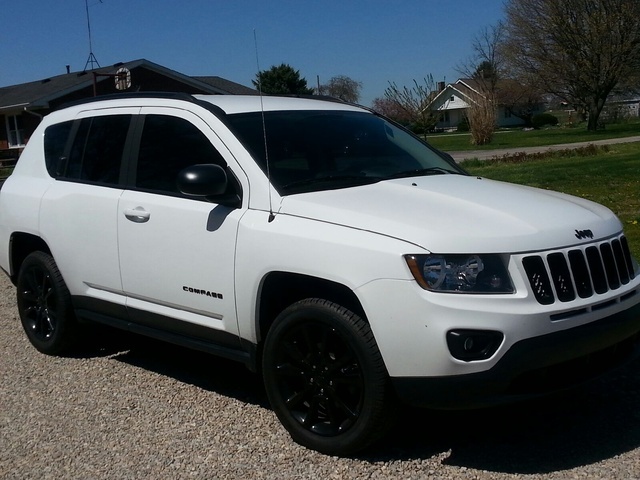 Have you driven a 2015 Jeep Compass?